Elections New Brunswick has launched a new ad campaign warning voters of false information that can be spread on social media sites. The agency has launched the ads on television and social media platforms before September's provincial election, hoping to ensure voters get the right information about when, where and how to vote. 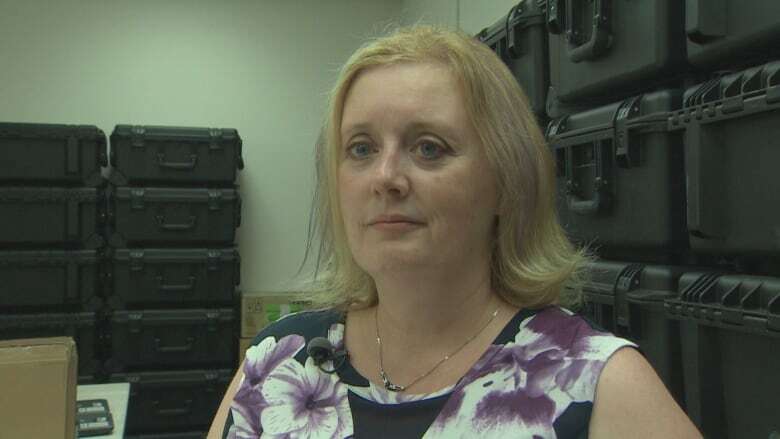 Kimberly Poffenroth, chief electoral officer with Elections New Brunswick, said social media plays a large role in people's lives and can often be used as a battleground to influence elections. "Take some time to critically think about what they [voters] are seeing on social media before they share it further," she said. There are eight ads, four in French and four in English, all of which are 16 seconds long. One ad starts with Bigfoot being spotted in Saint John, another with a mermaid showing up in Caraquet, and a third about a UFO sighting in Moncton. Poffenroth said there have been no specific incidents in the province that suggest voters have received false information about the voting process, but she wants people to be skeptical. She encourages voters to ask questions to Elections New Brunswick if they aren't sure. Paul Harpelle, a spokesperson from Elections New Brunswick, said the campaign has a budget of $150,000 but Elections NB hasn't received all the invoices yet. Television ads for the campaign rolled out on Friday and ads can also be found on websites like Kijiji. David Shipley, a cybersecurity expert in Fredericton and CEO of Beauceron Security Inc., praised Elections New Brunswick for preventing widespread information that might mislead voters. "The same tools and techniques that have been used to influence the U.S. election are rather trivial to do, and people who just want to mess with our democracy can easily do so." Shipley agreed with Poffenroth that social media has been used as a battlefield for influencing elections. "When you share an item, it's not just that you are helping disseminate that information, you are putting your personal stamp on it," he said. "That adds credibility and it taps into people's inherent trust of others and that's why fake news on social media can be so dangerous." Shipley said this campaign reminded him of the 1999 house hippo commercial, about a miniature hippo that lives in houses across North America. The advertisement was aimed at children to help them think critically about information they saw on television. "It's the exact same philosophy," said Shipley. An earlier version of this story said there are five ads, based on information from Elections New Brunswick. In fact, there are eight.